Amazing 10-year transformation from obese to fit to athletic. The co-founder of VAHVA Fitness speaks out for the first time. i my name is Samuli T. Jyrkinen. Here is a blog post in my own words about my journey from obese to fit to athletic (different from the video). Let's go. In childhood I had no athletic background, no exercise background, nothing at all. The last guy to be picked in sports. 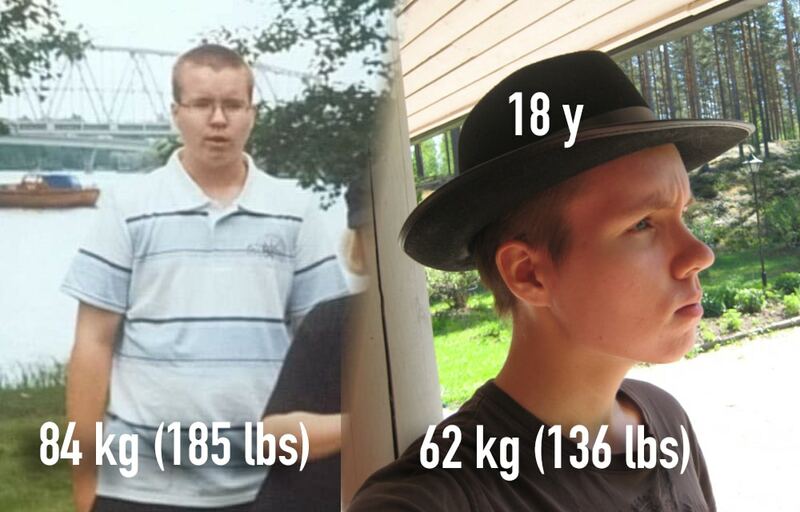 Between the ages of 12 and 17 I didn’t do any exercise, instead I created video games and played MMORPGs over 12 hours per day (unless I was in school). By the time I was 17, I was morbidly obese, my muscles had shrunk and I had kyphosis and rounded shoulders. Probably all the hip alignment problems as well. None of these things exist now. My life changed when I realized I was joining the army in just 1 year and at that shape of the time (couldn't run even half a kilometer / a quarter mile) I would have died in there. So I started with some basic calisthenics like push ups and pull ups - I could do zero pull ups and less than 5 push ups (all bad ones). I started jogging and cycling a lot. I learned everything I could about nutrition and fixed my diet. In 1 year I lost over 50 pounds of fat. 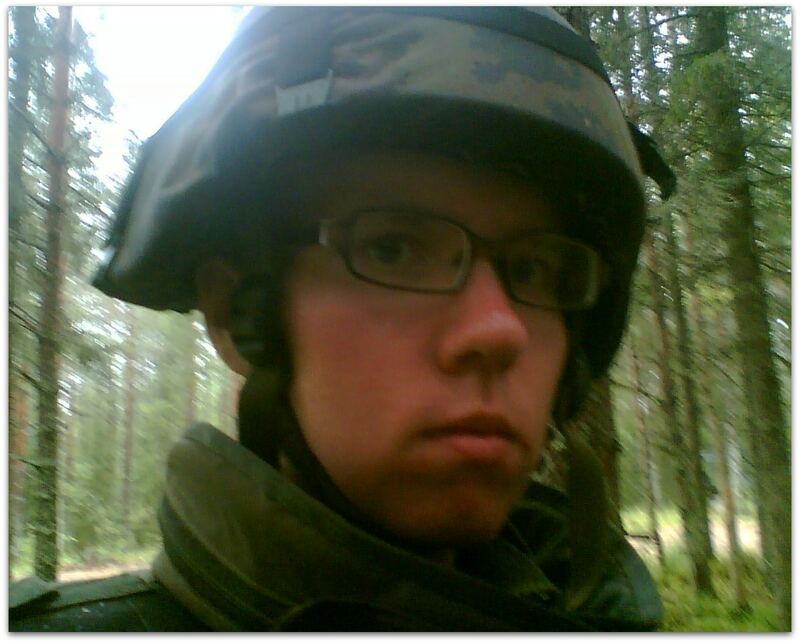 Then I joined the military where I gained around 10 kilos (20 pounds) of muscle and some fat. I obviously started to get strong as well. 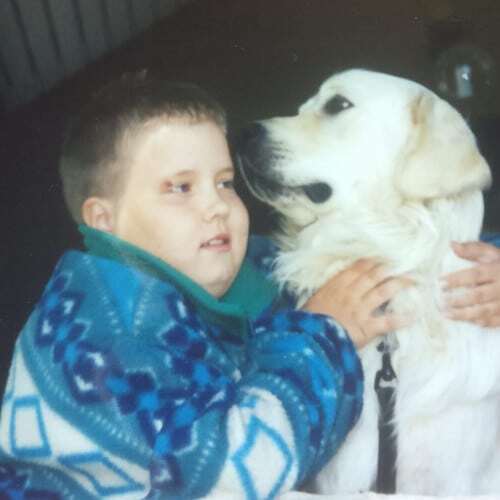 Losing fat was one of the biggest moments for me because since I could remember I was always this fat and unathletic kid. But now I no longer wasn't. People barely recognized me after the transformation - it was that dramatic. I was treated differently and I saw myself in a different light as well. My identity and appearance had completely changed. I stopped playing video games and instead started doing martial arts and fitness as a lifestyle. This identity shift is the secret to lasting results. I realized that I had the power to change myself and my life. I only started to get bolder and more audacious ever since. After military things got serious. It was in the military at the age of 18 when I saw a video of Hannibal the King doing pull ups and decided that’s what I want to do. This is where everything got serious. I started studying strength & conditioning, nutrition and everything I could get my hands on. 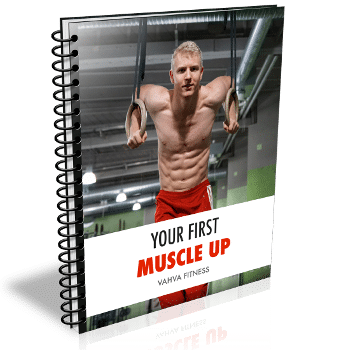 All the books, courses and articles about bodybuilding, old school strongmen, powerlifting, calisthenics, gymnastics, strength training, martial arts etc. All day I would study. Every day. I sometimes get pretty obsessive about learning new things and this time I just directed my focus on strength training. The problem is that without experience and wisdom you cannot separate good and bad information from each other. Only after 7 years of training and studying I started to understand everything at a deeper level. 2013, Finland. 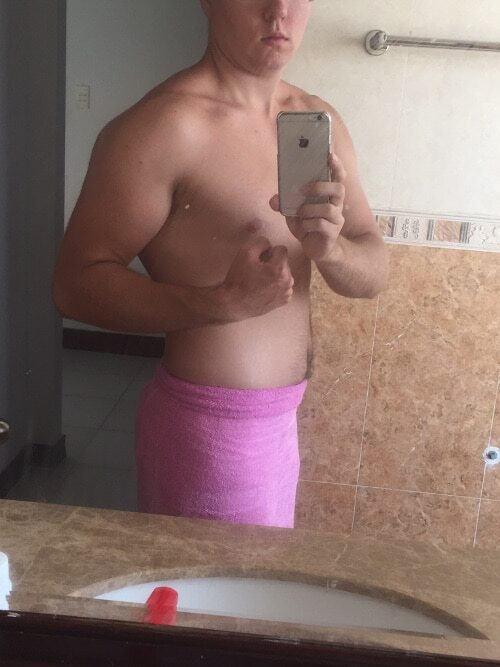 Around 75 kg (165 lbs). In the beginning, I got results by combining calisthenics and gymnastics with powerlifting and other weight exercises. I was making good results for 1-2 years: my numbers were going up and I was gaining some muscle. After the initial phase, I got stuck for 3 years. 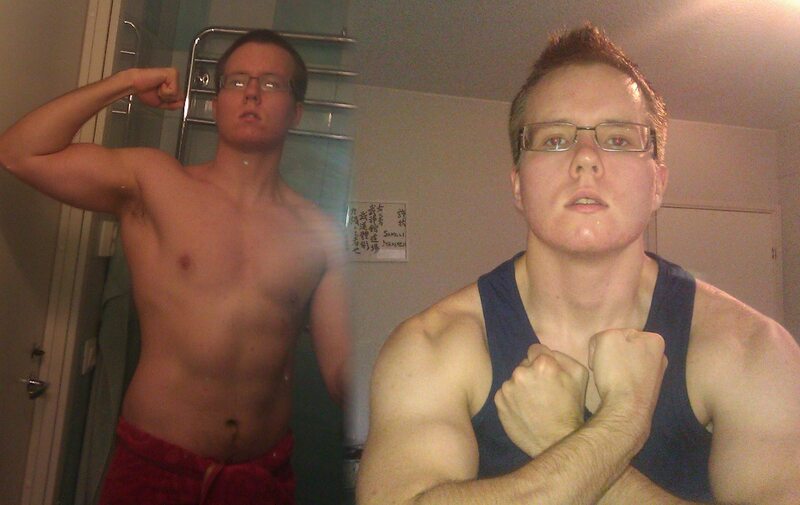 I don’t think I made much progress at all although I was training 4-5 times per week and doing this very seriously. This is because the progressive training gives you what is already in you. It doesn’t build up the structure, instead you mostly develop skills. Now in retrospect, my training was kind of a mistake. I got good at the wrong thing. I thought I was building superhuman strength when in reality I was building subhuman strength. Why was it subhuman strength? Because most of my strength was tied to these lifts and skills. I had no athleticism outside them. Over the years I developed elbow problems on both of my elbows which I managed to fix only 2 years ago. I also got a ribcage injury because I was doing heavy dips when my thoracic mobility wasn't good. 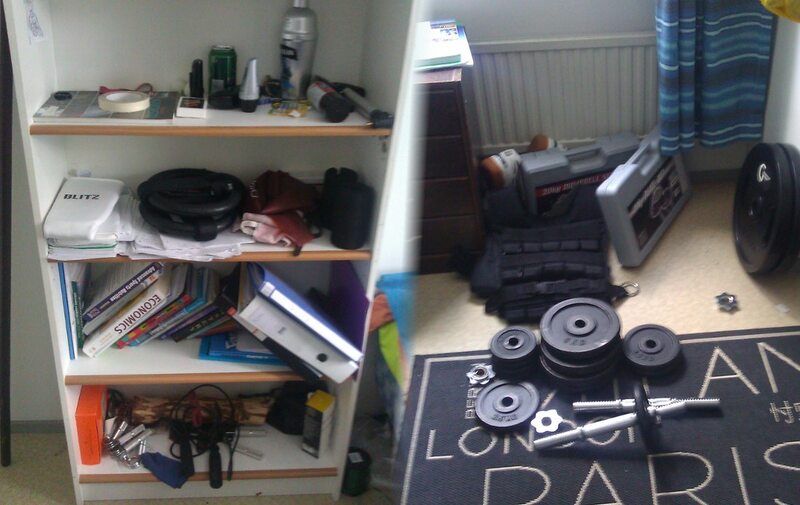 My home gym in 2011-2013. After this I joined a gym and stopped filming my workouts. I know people will say that I was training in the wrong way and being dumb. Indeed, I was training stupid but I was doing everything everyone considered the best thing to do. I was doing mobility work every workout. I was doing mobility workouts as separate workouts. I thought that as long as I do the "accessory mobility", I can keep on doing what I am doing. I also thought I was training all parts of the body. The problem wasn't that I wasn't doing the right things, right exercises and enough mobility. The problem was that I was doing everything badly, too much, too often and I was focusing on the wrong things. The problem with training styles like street workout, powerlifting and general fitness is that they are fundamentally flawed as a WHOLE. The entire methodology is the biggest problem. They are sports where you develop skills and heavy lifts - they are NOT for health, posture and general athletic ability. I was doing too much bar training: way too many pull ups, chin ups and rows and upper body training in general. I followed the programming most people considered good and it wasn't good. For example, I was doing pull ups something like 3-4 times per week and for way too many sets and repetitions. Now I would recommend doing only half the amount or less, and only train the pull ups 1-2 times per week. My leg training was also bad. I was lifting too heavy without having proper control. 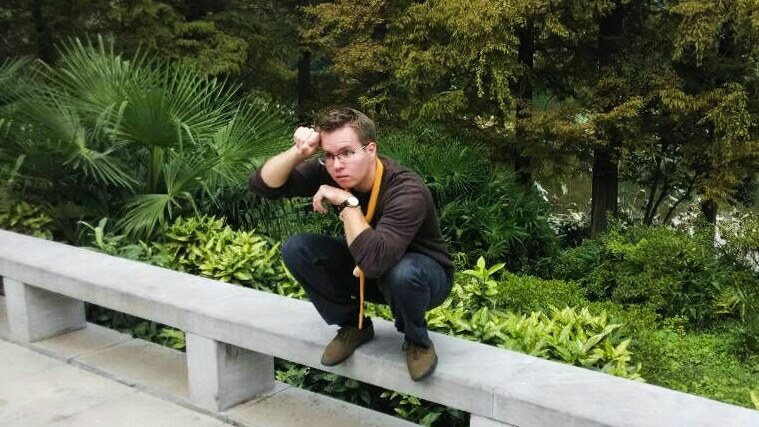 I was focusing too much on weird exercises like the advanced shrimp squats, nordic hamstring raises and heavy pistol squats. A lot of people would consider my form "Not that bad", but it was bad. I was focusing on the repetitions and moving the weight, not on developing the muscles. 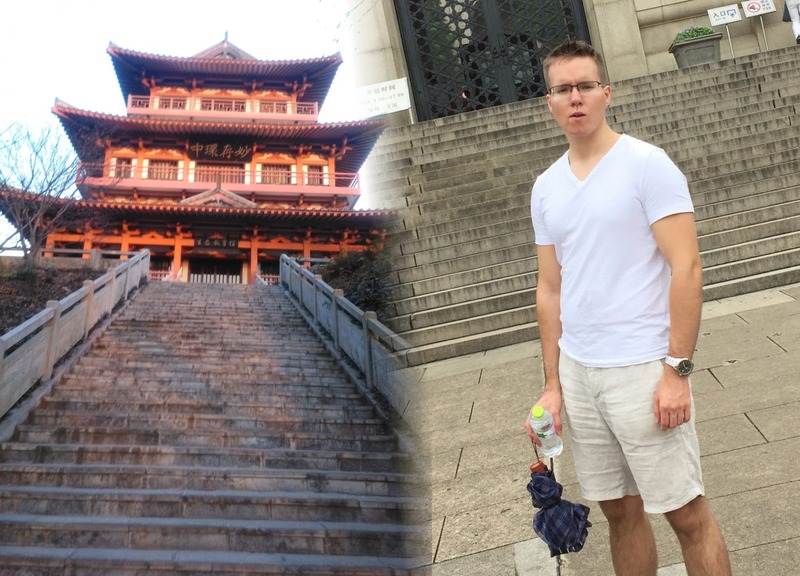 Living 1 year in China, 2014 studying and training. Hitting a plateau and barely making progress. After 7 years of training I was thinking that I had done everything I could and I just couldn’t progress. At this point I had tried a lot of different things already. Despite being able to deadlift over 400 pounds (182 kg), do ring push ups with extra 35 kg (78 lbs) and weighted chin ups with extra 55 kg (120 lbs), I really had no athleticism at all. Death glare. Young kung fu master in China, 2014. At this point, I realized that these lifts and skills had almost zero crossover to anything. Obviously I was better than someone who didn't do any exercise at all but the transference was still very poor. I was fake-strong with fake-strength. I didn’t have any real performance. I had just broken joints with lifts that were mostly good for my ego. When I did capoeira, I was better than a complete beginner but not much better. When I did any martial art, I couldn’t do ANYTHING. Just normal guys playing sports were better than me. I was only good at the narrow field I had chosen and that’s it. I was good at doing weighted chin ups and other skills. And that’s it. Living in Vietnam, 2015. Doing more powerlifting, weight training and bodybuilding. This was a big shock for me because I actually thought I was doing the proper training for functional performance and “superhuman strength”. I was sold this idea that once you get good at a number of different skills in different categories, that's how you get the superhuman strength and athletic ability. Somehow I found myself in this bubble where gymnasts and acrobats were considered the ones who had the superhuman strength. It took a long time to realize that this is simply not true. The best athletes in the world can do none of those skills and stunts. You see these short guys who have skinny but flexible legs doing amazing stunts. You think they are the strongest but in reality it's only half or 1/3 true. You see genetically optimized people performing their sport they have been doing since they were little kids. Then they say it is the secret for strength. Half of it is smokes and mirrors because they only stick to the things where they are the strongest at and avoid the areas where they are the weakest at. I could have done this too. I could have developed a very impressive repertoire of one arm chin ups, weighted chin ups, pressing strength, squats and deadlifts - and then only showcased these lifts and skills. But it would have been an illusion. If you had taken me away from these skills and lifts to any other arena, I would have been weak. IMPORTANT POINT: Many of these gymnasts are actually universally strong but you need to realize that it's a completely different story to start training as an adult vs. when you started as a kid. When you have been athletic and active since you were a kid, you will grow pretty strong, balanced and well-rounded with any type of exercise because your body never went through the phase of misuse and neglect. Basically, any athlete at the top of their sport will be pretty *** athletic. But it doesn't necessarily mean they are at that level because of their sport. Only during the past 2 years everything started to change and started to change BIG TIME. I started doing movement training (animal movements mostly) and yoga, and these had a MASSIVE impact on my progress. For the first time in years I started to make real progress again. I didn't know how much weak areas I had in my body. The biggest impact on me was Athlete 20XX. It literally changed my life. It changed everything, how I train and how I approach training. In Singapore, 2017. Making fantastic progress once again and building real strength. I realized that despite the fact I had been doing all kinds of calisthenics, gymnastics, powerlifting and weightlifting, over half of my body was still underdeveloped or weak. LITERALLY half of my body was underdeveloped despite having done calisthenics, powerlifting and weight training for over half a decade. My obliques were weak. I neglected obliques because a scientific study showed that ab wheel rollouts intensively activated the obliques which I did plenty of. Activation doesn't mean *** and many studies are completely misleading or flawed. I barely had any lateral glute development, only gluteus maximus. I had only 2 out of 4 front thigh muscles properly developed. Both of my calf muscles were weak. Even half of the hamstrings were missing. How about the upper body? No thoracic mobility. My brachialis and pronator teres hardly existed despite doing pull ups and curls for a long time. I had imbalances in my back, traps and many other muscles. Training with Michael Jai White in Australia 2018. 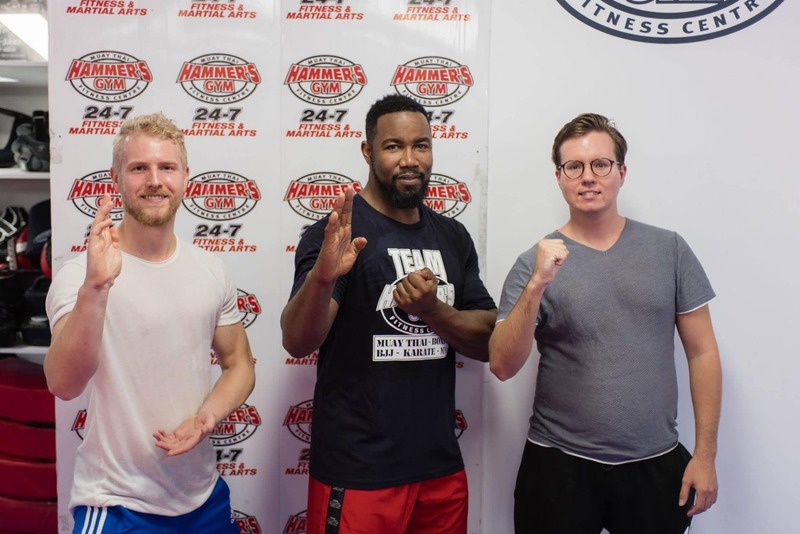 If you want to guess our height and weight here, Michael Jai White is 6'1'' and 240 pounds. This is what progressive bodyweight training and weight training does to your body. I only developed the prime movers (big muscle groups) and I was missing literally half of the smaller muscles. Athlete 20XX changed my life and I mean it. I can do things I could never do before. I walk in a different pattern now. I stand differently. I am actually competitive in almost everything I do. I won a ballroom dance competition (Foxtrot) after just 6 months of classes. I can move, sprint and do martial arts at a level I never thought was possible. My elbow pain almost took everything away from me because striking and martial arts was the thing I really wanted to do and I couldn't punch for a long time. Now everything is good. One day, I decided to try the roundhouse kick for the FIRST TIME IN MY LIFE and it went quite good. I seriously wasted almost 7 years of training because I was pursuing the heaviest weight and the hardest progression. All I got was fake-strength and joint problems. Now it feels like I am only getting started because I finally know how to train properly. I have been training for A DECADE but it feels like I only started 2 years ago. This is the new beginning. Now it gets real. It took 10 years to get to this point but the future looks brighter than ever. The next step of my transformation is already happening. I have put on some fat lately which I am in the process of losing. Stay tuned. Thank you both for sharing your experiences ! It means alot for me as a wellness seeker to resonate with the wisdom expressed from your philosophy. You have merged the philosophy and truth as One. My sincere gratitude and may the light illuminate your path for many years to come. Thank you as well Rashid!